Axiomtek announced Thursday arrival of the all-in-one digital signage player solution, the DSP300-318. The DSP300-318 offers a variety of options, one incorporating Acer Being Device Management (BDM) to help integrators and managed service providers effectively manage devices across the increasingly complex, IoT-integrated smart device world. The Acer BDM is a cloud-based device management platform designed and developed by Acer Cloud Technology to offer a cost-effective and simplified device management solution with comprehensive remote management capabilities. 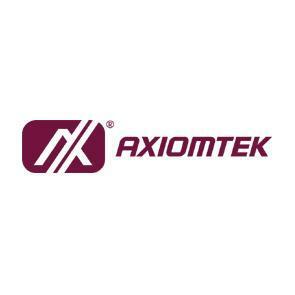 Axiomtek delivers a complete digital signage solution that focuses on delivering high operational efficiency to their customers across many retail-related applications including those deployed by quick service restaurants, retail stores, grocery chains, airports and entertainment industries. Its dedicated Intelligent Retail Solutions team has developed the product to be highly flexible, feature-rich, easy-to-customize and with 4K graphical capabilities. The ultra-slim DSP300-318 can be installed in space-constraint environments and is ideal for digital menu boards, self-ordering systems/self-service interactive kiosks, point-of-sale applications, queuing systems, digital signage uses, video walls and more. Currently available for purchase, The DSP300-318 offers 4K dual displays with its HDMI and Dual-Mode DisplayPort (DP++) outputs. Its I/O choices include two Gigabit Ethernet ports, one RS-232 port, three USB 3.0 ports, one USB 2.0 port and audio port. It also offers one M.2 Key E 2230 for Wi-Fi and Bluetooth modules, one M.2 Key B 3042 for 4G LTE, one SIM card slot for 3.5G radio connectivity, one M.2 Key M 2280 and one optional 64GB eMMC 5.0 for additional storage.